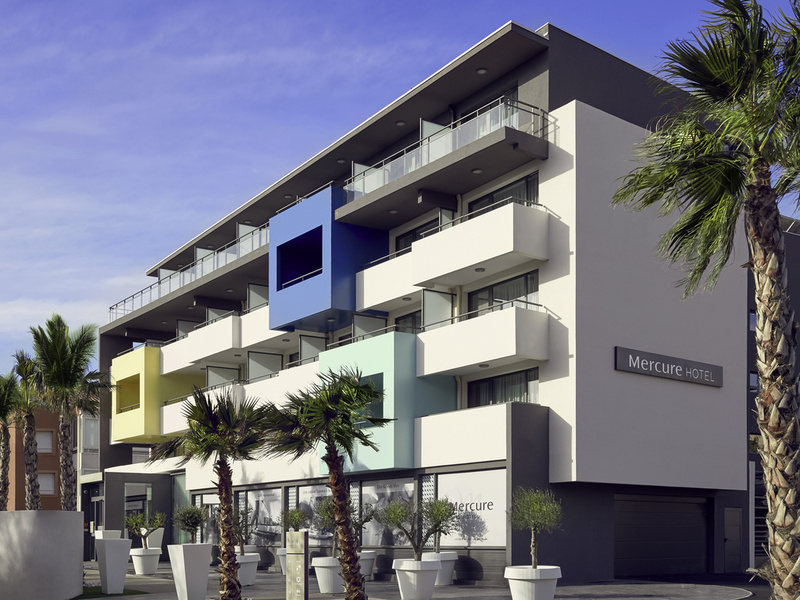 Treat yourself to an indulgent break at the four star Hotel Mercure Golf Cap d'Agde. Step into luxurious surroundings with modern décor for your business trip or family holiday in the Hérault. The hotel offers you first class facilities; business service, meeting room, 'Cuisine Lounge', piano bar, fitness centre, hammam, spa and massage, solarium with Jacuzzi and terrace. Find yourself in the midst of quiet green surroundings. Nearby, the Cap d'Agde international golf course caters both for golfers and for lovers of relaxation. Fancy a walk or a swim? The hotel is just 10 minutes from the town centre and the beach. Standard Room and Privilege Room with twin beds or a double bed. Bathroom with hairdryer and separate toilet. Air conditioning, safe, flat-screen TV, minibar, telephone, WIFI, tea/coffee making facilities. Balcony. Total area up to 280 sq. ft. (26 m²). Privilege Suite with double room and lounge area with sofa bed. Bathroom with hairdryer, separate toilet, bathtub and shower. Air conditioning, safe, 2 flat-screen TVs, minibar, tel., WIFI, tea/coffee making facilities. Balcony. Up to 495 sq. ft. (46 m²). A bar and a piano for a musical atmosphere. A wine cellar, with a selection of Mercure wines. Relaxation guaranteed at any time of day. Receive a warm welcome from our staff whether indoors or in the garden.